The Government has come under fire for lacking ambition on climate change amid a last-minute wobble on carbon tax as a UN report issued a stark warning on the dangers of global warming. A UN report warned that the world is failing in its mission to keep global temperatures from rising more than 1.5C and outlines the impact failing to prevent this rise will have. The report was published a day ahead of today's Budget, which was long expected to have a 'green package' and against a backdrop of internal rows over the political fall-out of increasing carbon tax. Last night, it appeared any hikes in carbon tax had been dropped from the Budget. 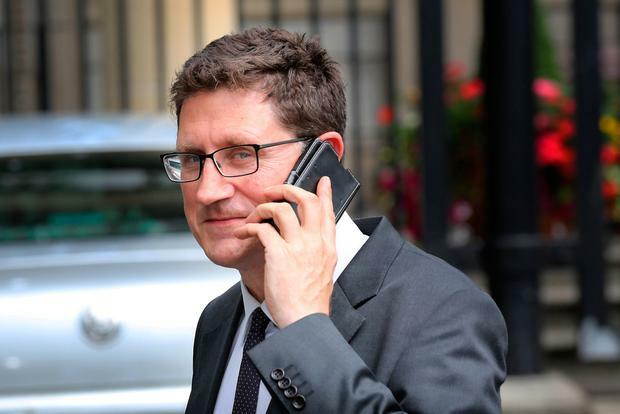 Green Party leader Eamon Ryan said the Government was at "sixes and sevens tackling climate change". "The report is calling for urgent action but it seems the carbon measures in the Budget are only a bargaining chip. It is a symbol of the lack of any strategic intent when it comes to tackling our growing emissions," he said. Fianna Fáil's spokesperson on the environment Timmy Dooley said the report should remove any doubt as to the need for urgent measures. "If there's any doubt that still exists in Government that this is something that can be put off for another day, that doubt should be well and truly gone," he said. "It isn't a matter of pushing it off for another day, somebody has got to stand up and take action." Environment Minister Denis Naughten said the report "paints in stark terms the reality of the impact of our current trajectory of global emissions and the world we will be living in later this century if our collective ambition for climate action does not increase".